An effort to free Mexican reporter Emilio Gutiérrez and his son from immigration detention has garnered national attention. And now, a border congressman has also stepped in to advocate for the duo. The last time Bill McCarren saw Mexican journalist Emilio Gutiérrez, the reporter was in Washington, D.C., speaking to hundreds of people after receiving the National Press Club’s John Aubuchon Press Freedom Award in October. 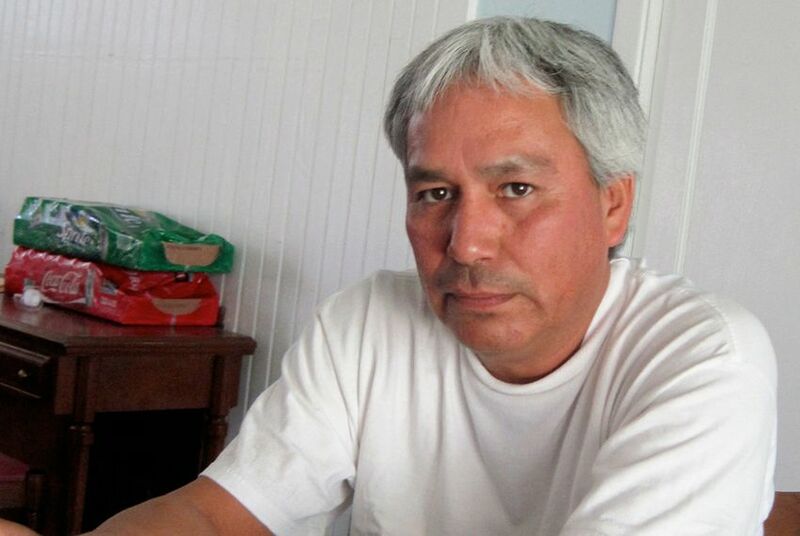 On Friday, McCarren, the National Press Club's executive director, could only see Gutiérrez at a detention center in El Paso after he was nearly deported and then hauled away to the center with his son two weeks ago. McCarren’s pre-holiday trip to the border was part of an ongoing effort to rally national support for Gutiérrez, who fled the border state of Chihuahua in 2008 when his reporting on cartels and military corruption there led to death threats and intimidation. McCarren said that since the National Press Club began calling for the Gutiérrez’s release, 18,000 people have signed an online petition asking Immigration and Customs enforcement officials to release Gutiérrez and his son Oscar, who came to the United States with his father. McCarren and Gutiérrez’s lawyer, Eduardo Beckett, got a boost on Friday from U.S. Rep. Beto O'Rourke, who also met with Gutiérrez and said he came away convinced that ICE was locking up the wrong people. “We asked them both ... ‘If you are released on humanitarian parole, will you honor the court date when you have to come back? Is there any flight risk?” O’Rourke said. He said Gutiérrez responded that in nine years since the saga began, they never absconded and checked in with federal authorities when asked. O’Rourke said he’d continue to lobby the government on the Gutiérrezs' behalf and write a letter to ICE asking for their release on grounds of humanitarian parole and another to the Board of Immigration Appeals supporting the asylum claim. McCarren added that he ICE officials he met with after he visited with Gutiérrez suggested that he and others "tone it down" when it came to the case. In am email, William P. Joyce, the acting field office director for ICE enforcement and removal operations in El Paso, said there was no such suggestion. Even though Gutiérrez asked for asylum nearly a decade ago, his case wasn’t decided until earlier this year. Gutiérrez and his son were eventually denied their asylum requests and Beckett said the only option is to ask the Board of Immigration Appeals to re-open the case after the presiding judge denied the same request. But Gutiérrez's legal team also deserves some of the blame, according to the federal government. After the initial denial, Gutiérrez’s former lead attorney Linda Rivas said she was told the appeal wasn’t filed in time. In its denial, the federal government said the request for appeal should have been received by Aug. 18, 2017. It was instead postmarked by that date but not received. The fight now involves not only getting the case reopened, McCarren said, but also proving that Gutierrez is in danger because of his reporting work. McCarren said that after speaking to ICE officials and reading the judge’s decision, he sensed reluctance to acknowledge that journalism is a dangerous profession in Mexico despite the country being recognized as one of the most dangerous for reporters. In 2017 alone, 10 journalists have been killed in that country, including reporter Gumaro Perez, who was shot to death Tuesday at his son’s school holiday party in the state of Veracruz. “Whether or not he’s a journalist is central to the core of the problem at hand. This is not a traditional case, this is not a traditional deportation,” McCarren said. “If Emilio is deported, we believe he will be killed. That’s why we’re here today. At the Press Club, we argue against arbitrary detainment of journalists all over the world. I never thought I would have to argue a case like this in the United States of America."